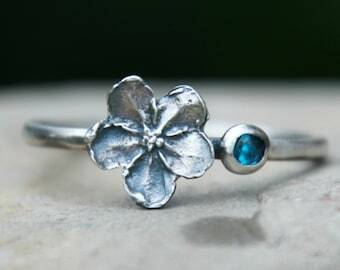 This gorgeous, unique ring is hand cast from a real twig! 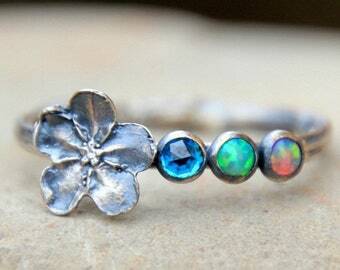 ~You can choose up to six opals or cubic zirconia birthstones. 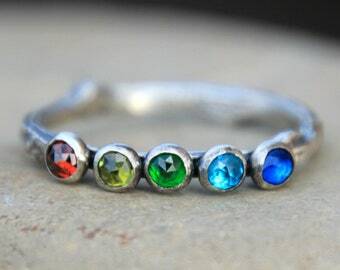 All of these gemstones have been made special for my shop, so you will not find them anywhere else! The cubic zirconias have a beautiful rose cut to them. 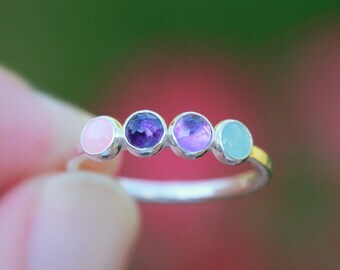 I set all gemstones in .999 fine sterling silver bezels. 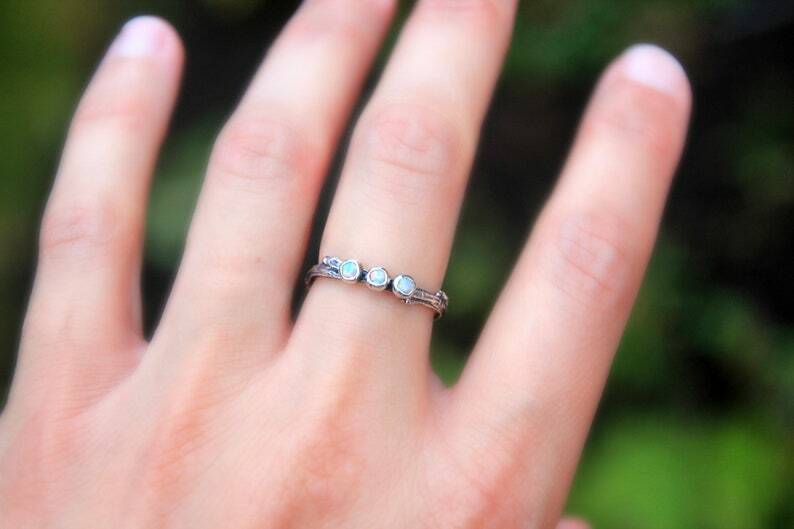 You may also mix and match the opals and cubic zirconias to make your own one-of-a-kind ring! 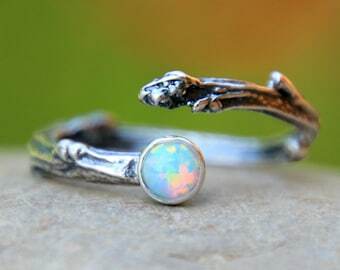 ~I made the ring in the photo using three tiny 3mm opals in white. •Please see 3rd photo for the opal chart. •Please see 4th photo for the cubic zirconia chart. I have oxidized the branch and then highlighted the high parts to really show every texture of the twig. ★Select your ring size using the drop down box. ★Please select the number of gemstones you would like in the drop down box. !Please Note! Since these rings are made form real twigs, there will be a spot on the back where the twig has been soldered together. 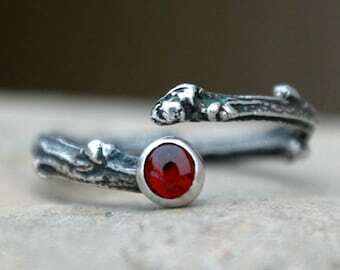 This will be on the underside of the ring and not visible when worn. I try to make the seam as subtle as possible. This is not considered a defect, but part of being a truly hand made ring. See 5th photo to see the back. 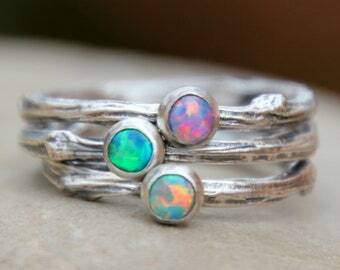 In the 'notes to seller' box, please let me know which opals/birthstones you would like on your twig.